Pakistan’s premier luxury designer label Élan launch their Eid Collection, Big City Life, under their ready to wear label, Élan Vital. Élan Vital is available off the rack and comprises of statement pieces which are suitable for the college girl, the working woman, the house wife, the mother, the lady of leisure and style divas alike. With Intricate thread work that accentuates the neckline, the collection is impeccably stitched with straight cuts to suit high street wearability. 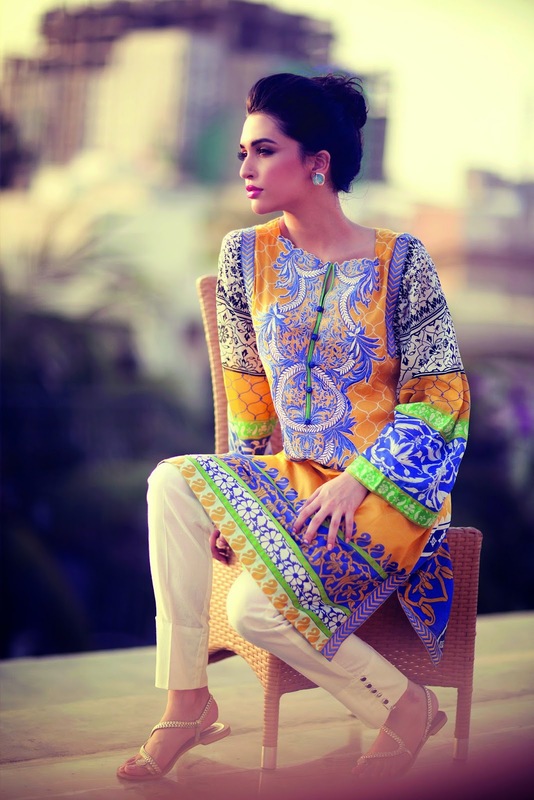 Geometric and floral prints, vivid colours and soft finished fabric tie up this bold collection, all within a price range of PKR 10,000 and under. The collection is available at Elan’s flagship stores in Lahore [Mall of Lahore and Gulberg Galleria], in Karachi at Ensemble and at L’Atelier in Islamabad.